In the same spirit of building with what I have on hand, I repurposed an oak head board from a broken daybed. 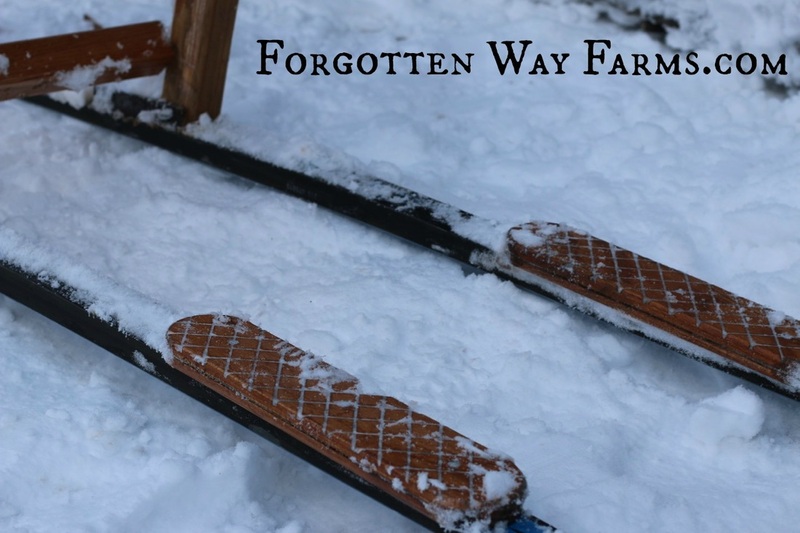 The kids bought me a pair of cross-country skis last year, in hopes that I could again make a Homemade Kicksled for them. The old one didn’t make it past two seasons of heavy use. 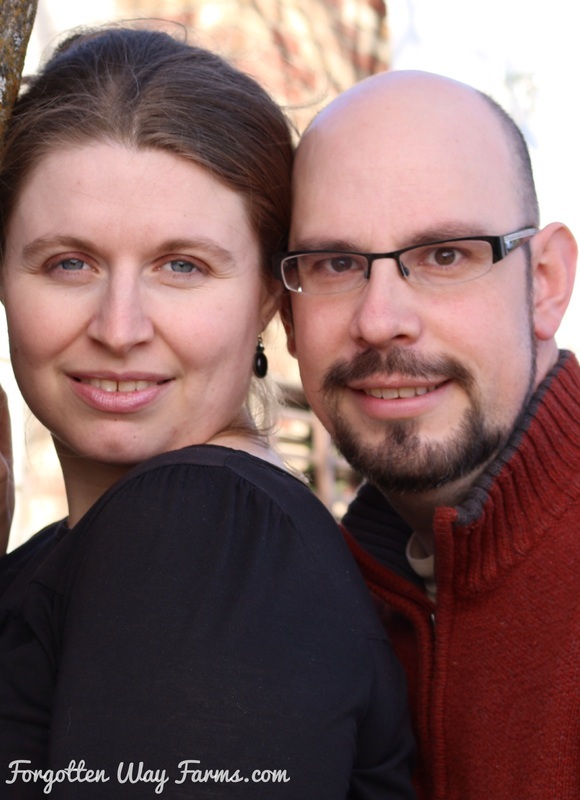 I beefed this one up, and am really happy with it. I also cut diamond shaped grooves into the wood to make it easier for snow boots to stay on without slipping. 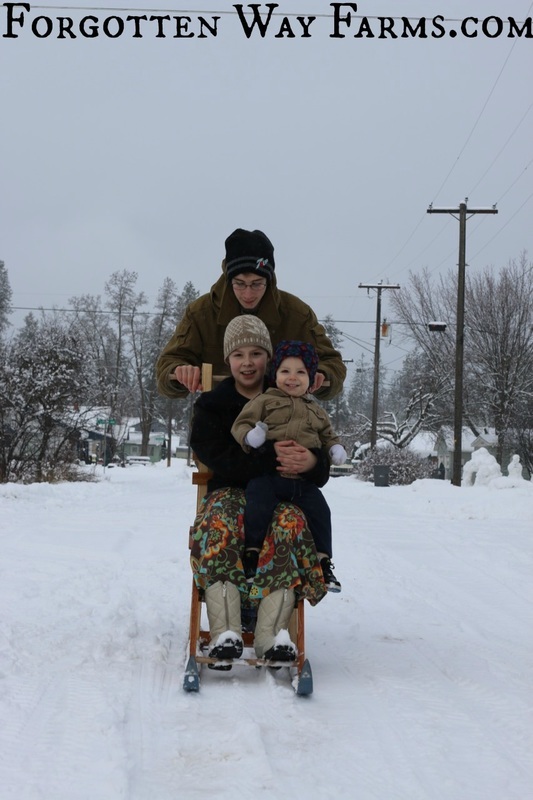 Two Thumbs Up for this Homemade Kicksled! It was on a Sunday around 6 pm that the inspiration hit me, so my second oldest helped me until 9:30 pm. Some of the kids were in bed already, but as news spread that Dad had made a new Kicksled, they all came out for a peek. What was supposed to be a peek turned into an all-out sledding party until 11:00 pm, we went to bed with our faces hurting from smiling. Nothing beats sledding at night in an empty street with street lamps lighting the way, no cars coming or going and the snow softly falling. 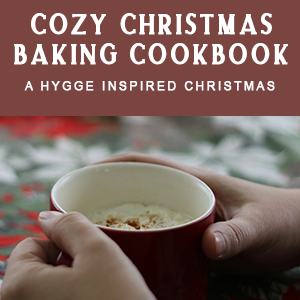 Afterward, hot drinks for everyone and then a good night’s rest! Anything will do, in my case, broken oak furniture worked. Check your local thrift store as well, they might have some broken furniture that needs hauling away. Again, check your local thrift store. Also, during the Winter it’s usually quite easy to find them at affordable prices, second hand. I had a bucket of random screws and nails in the shop that I used for this project. This baby works well for all kinds of projects around the homestead. 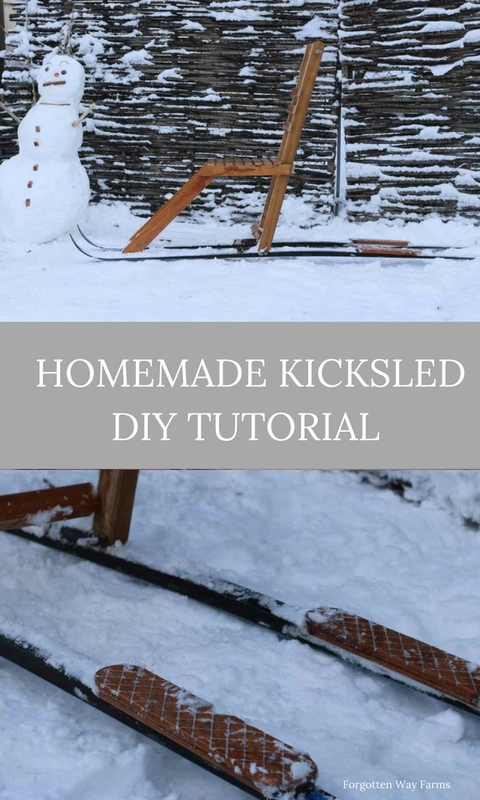 Have you ever made a Homemade Kicksled? « Catching Up, and Happy New Year! This is awesome! 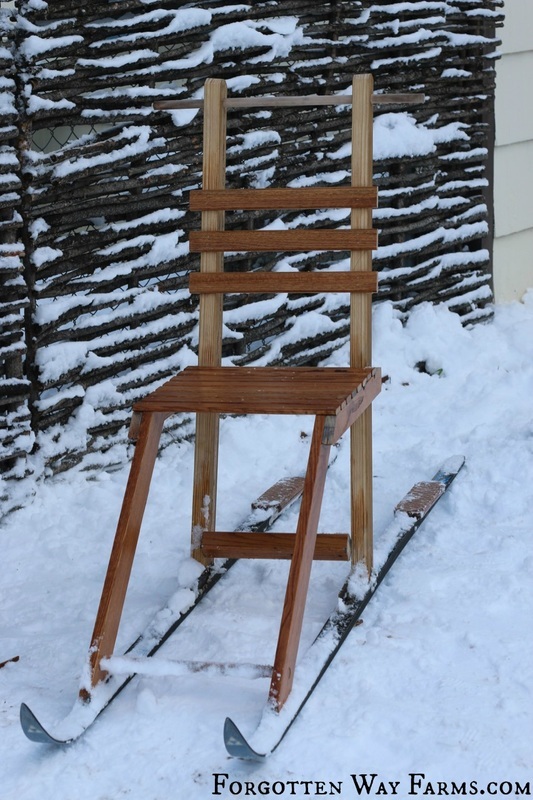 DO you have closeups of how you attached the chair to the ski? Also the floorboards? Great job, I want to make one for my twins!